Rockwool, a multinational corporation based in Denmark, is planning to build a new insulation manufacturing plant in Jefferson County, West Virginia, 5 miles from SkyTruth’s front door. If built, the plant will feature a 21-story (~210 feet) tall smokestack that will spew chemicals including formaldehyde, sulfuric acid mist, and hydrochloric acid. For the full list of pollutants they plan to emit, see page 428 of the Roxul application submitted to the WV DEP on Nov 20, 2017. 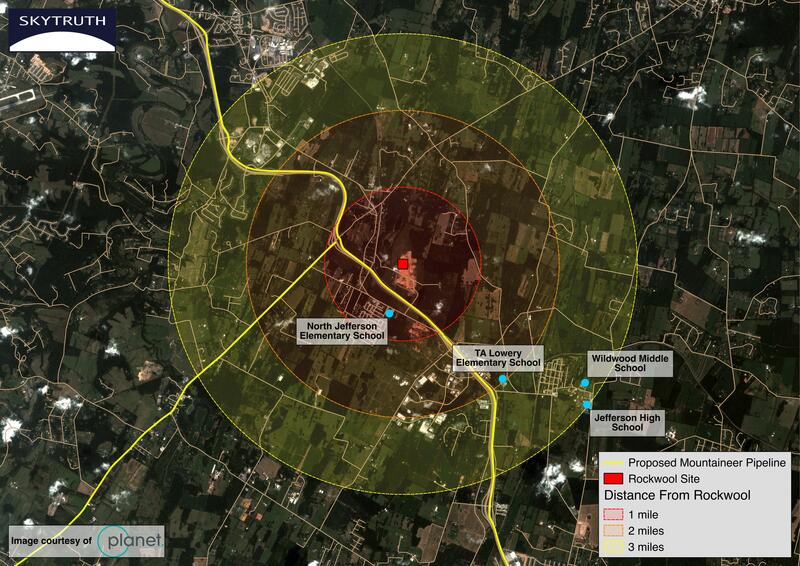 This PlanetScope image shows the locations of the four schools located within three miles of the Rockwool site, along with the route of the proposed Mountaineer Pipeline. 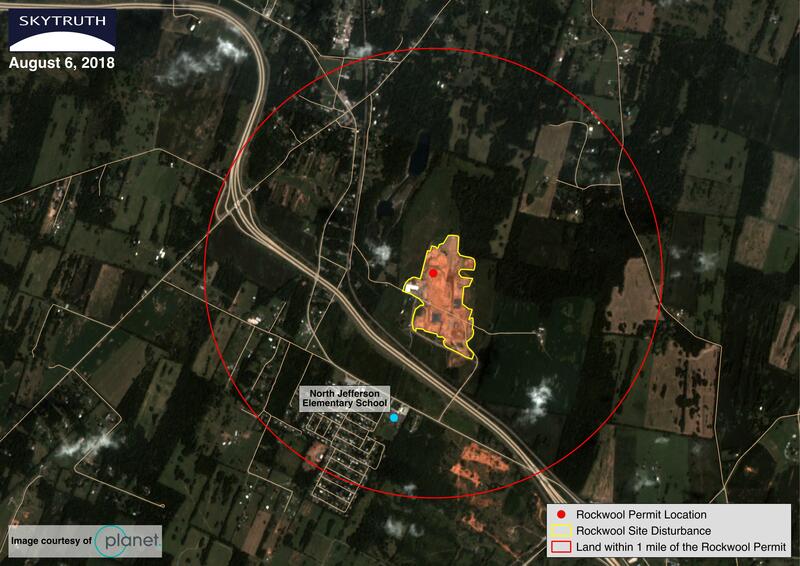 The concerns over this predicted air pollution from the Rockwool facility are compounded by its location. Four schools are within 3 miles of the site (the site here is defined by the latitude and longitude provided by this WV DEP report, see page 1): two elementary schools, one middle school, and one high school. The closest of these is North Jefferson Elementary School, which is located a mere 3,400 feet from the Rockwool site as shown in the WV DEP permit application. 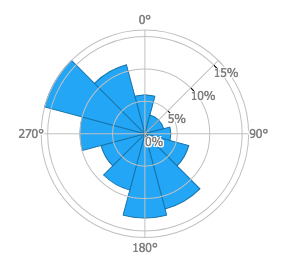 This wind rose (generated by The Global Wind Atlas) shows the prevailing wind directions for the area near the Rockwool facility. 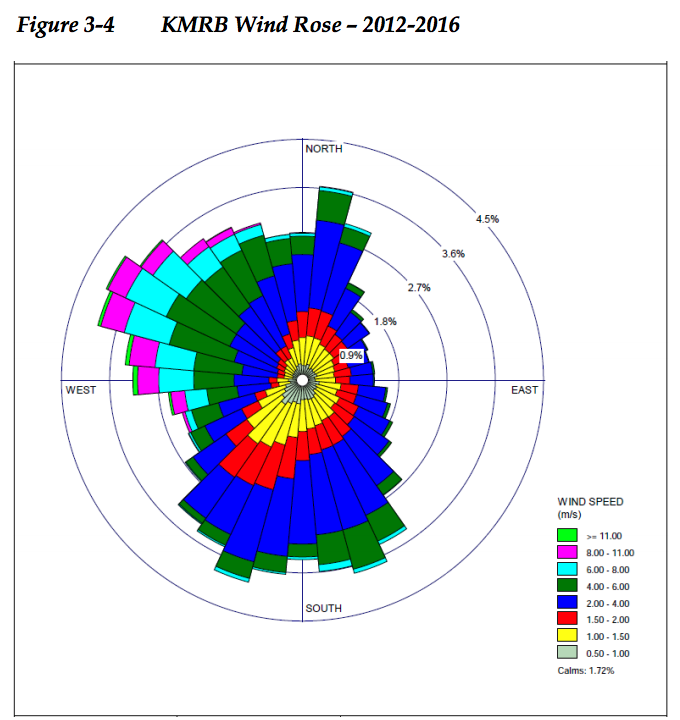 This wind rose (generated using data from a weather station at the Eastern West Virginia Regional Airport) shows the prevailing wind directions for the area near the Rockwool facility from 2012-2016. This wind rose was included in the Air Modeling Report submitted by Roxul to the WV DEP (see page 30). To read these wind roses, the outer edge indicates the direction from which the wind blows. With the dominant wind direction from the northwest, all four of the schools will typically be downwind from this facility, frequently exposing students, faculty and staff to the pollutants Rockwool says they plan to emit. Last August, SkyTruth worked with the Eastern Panhandle Protectors to produce a map of the Mountaineer Pipeline Eastern Panhandle Expansion. What’s the connection? As it turns out, natural gas delivered via this pipeline will feed the Rockwool plant. One thing leads to another…. 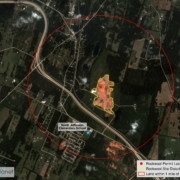 This PlanetScope image, collected on August 6, 2018, of the Rockwool site shows recent construction activity. Less than a mile from the site is the North Jefferson Elementary School. The concerned citizens of Jefferson County are making their voices heard, and are actively opposing the final permits and approvals needed for construction of the Rockwool facility. As a nonprofit that makes its home in West Virginia, SkyTruth is pleased to offer access to our maps (including an interactive web map, which will be updated as we learn more), to the citizens of Jefferson County, in the hopes that these resources will help raise awareness and engage the community on this potentially serious public health issue.